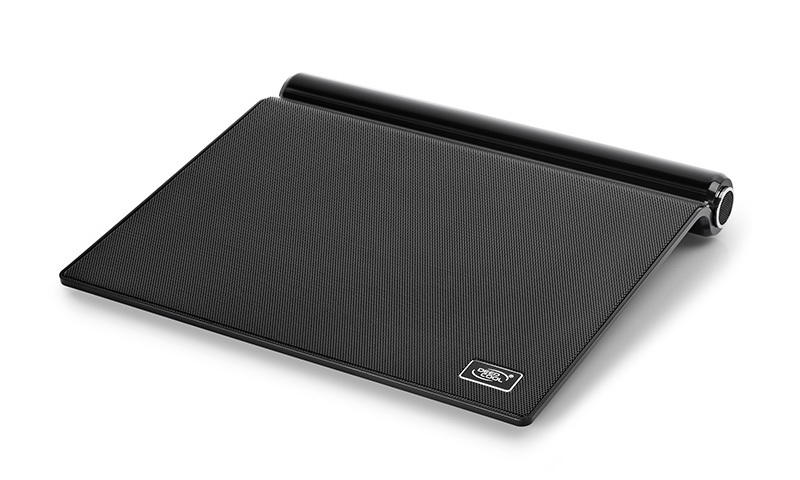 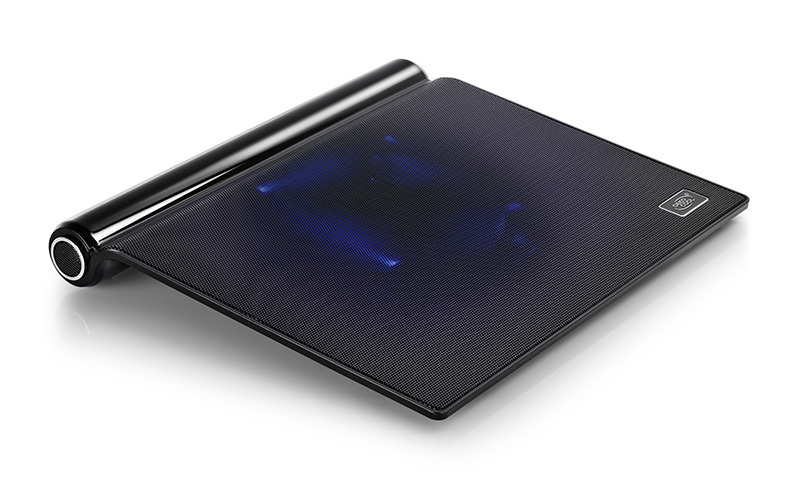 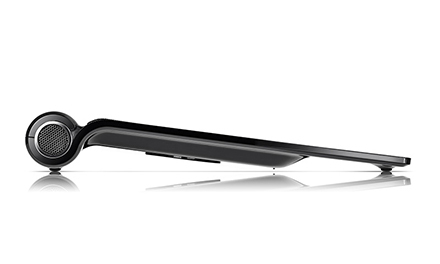 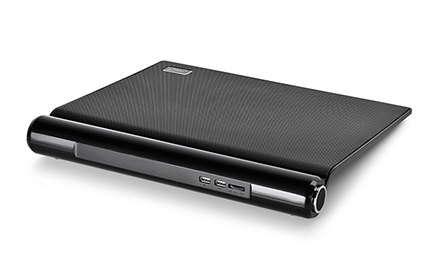 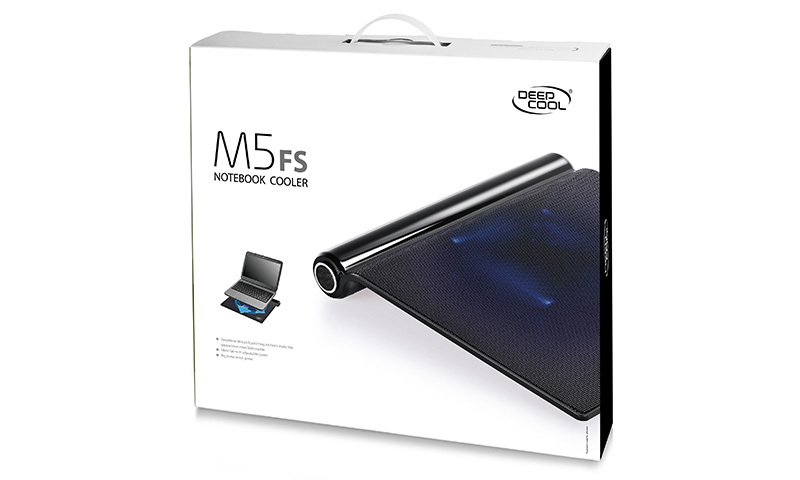 Sleek design with shining metallic coating, allowing optimal airflow through the panel for effective laptop cooling. 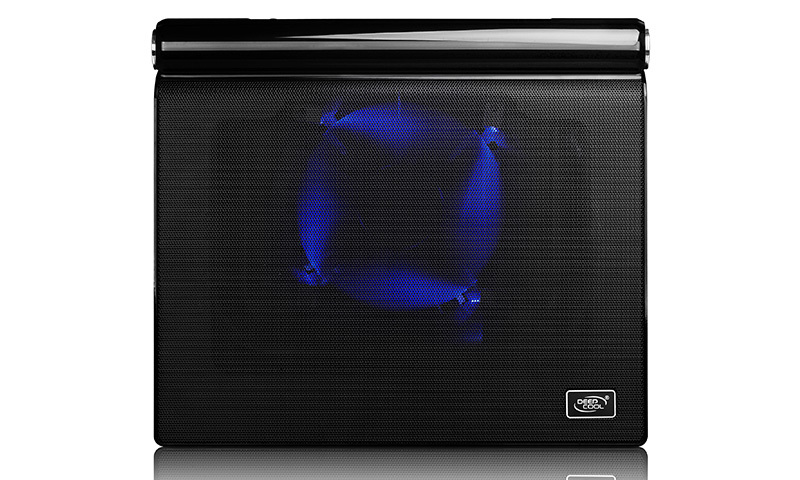 M5 FS has a massive 180 mm fan furnished with blue LED lights. 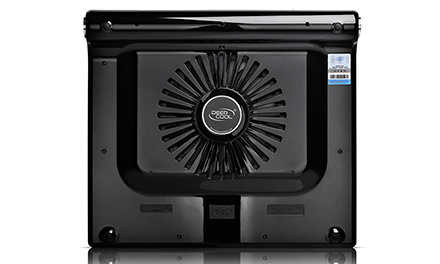 The lighting adds to the alluring visual aesthetics of the cooling solution. 180 mm variable-speed fan provides a quiet and efficient airflow. 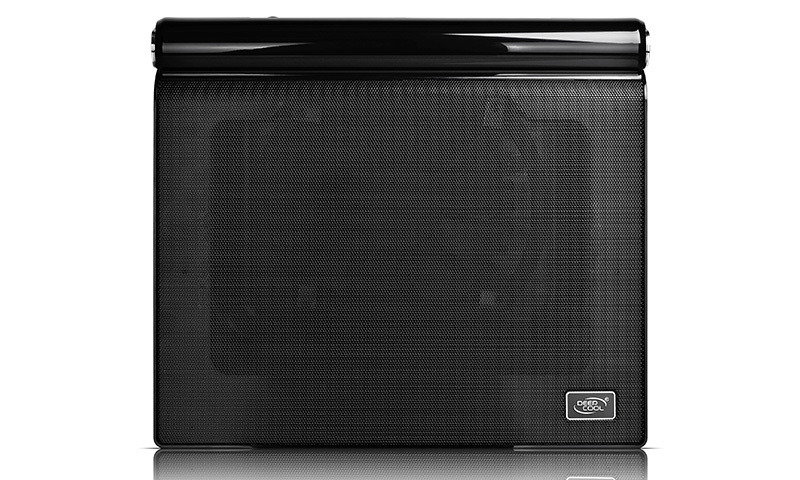 Airflow can be adjusted according to the desired cooling requirement. M5 FS offers 2 USB ports. 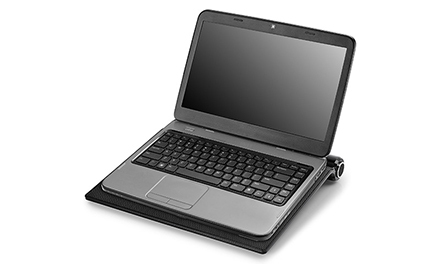 A user can connect the USB cable to the USB IN port to power the cooler while obtaining data from the notebook. The USB OUT port can be used by another USB device. Sleek design with glossy metallic finish. 180 mm blue LED fan with superb cooling performance. 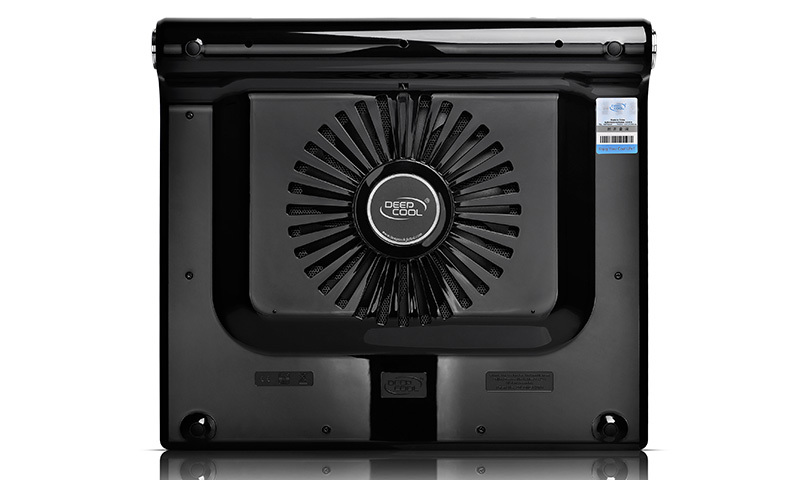 Adjustable fan speed to meet both cooling performance and quiet operation requirements. 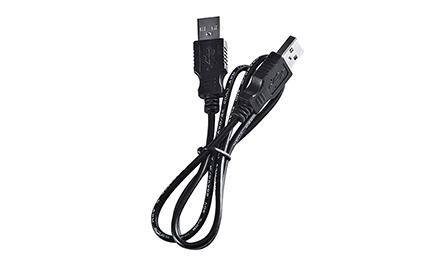 2 USB ports to easily connect to an additional USB device.